If you live in Los Angeles, there's a very good chance that you've been to Vegas. 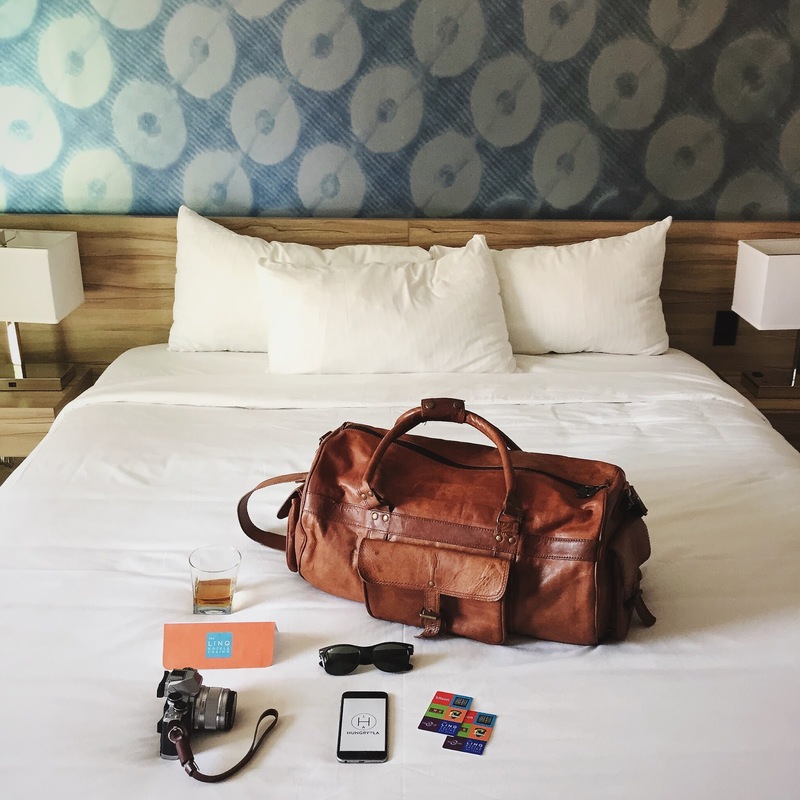 Let's face it, most of us go there for a quick weekend getaway where we can let loose, relax, have fun, be entertained and of course, eat incredible food. Las Vegas has everything to keep you entertained and it's always changing. There's always a new show to watch, restaurant to dine in and hotel to stay at by the strip. If you're planning on going soon, here's a guide to doing Vegas, right now. 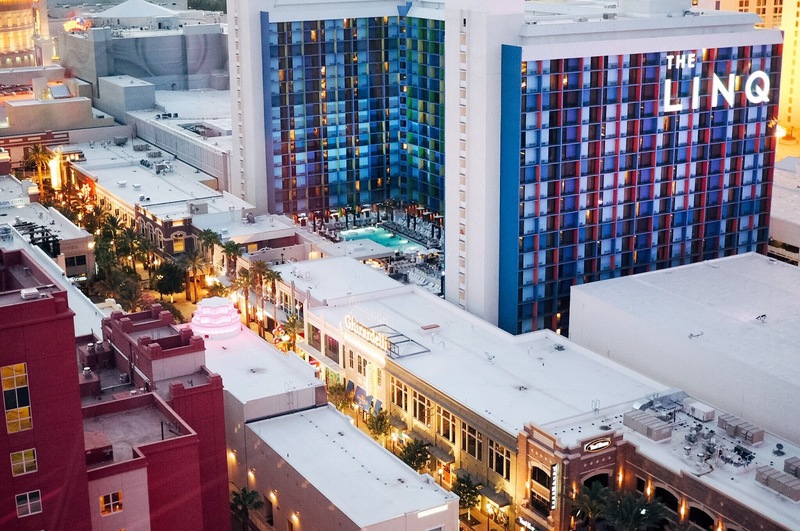 The newly opened LINQ Hotel is your go-to home base for your next Vegas trip. It's conveniently located in the center of all the action of the strip, right across the street from Caesars Palace. 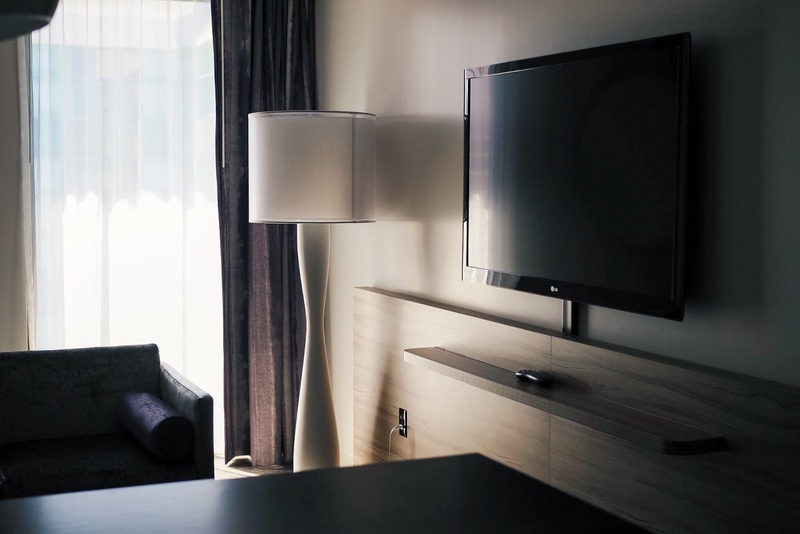 Catering to a younger crowd, the LINQ offers a modern and minimalist look to its rooms. The on-sight lobby bar, 3535 is a great place to stop by prior to heading out on the strip. Oh, and right outside the hotel is the LINQ Promenade, an outdoor dining, shopping, and entertainment district. Think 3rd street in Santa Monica, or the Grove on Fairfax, it's a smaller sized shopping district that's a fun break from the strip. The pool is full of people hanging out, grabbing drinks at the bar area and having a great time. Music is going all day at the pool and on weekend nights (night swim) until midnight. 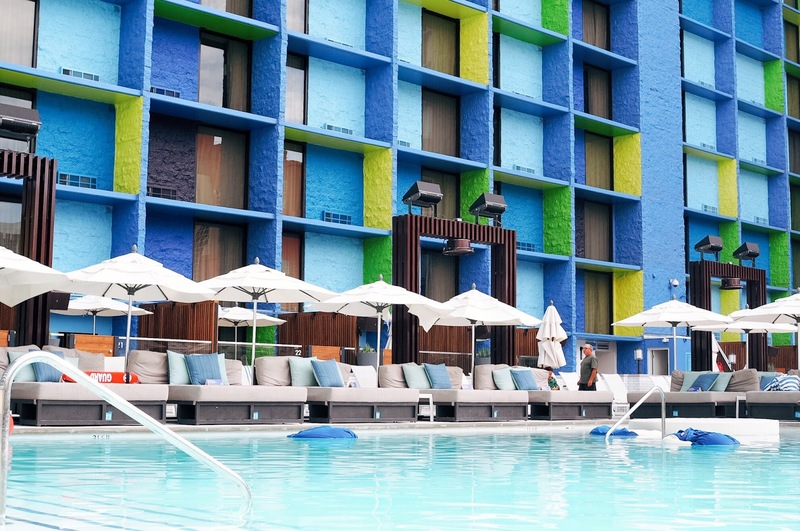 If you're all about the pool scene, the LINQ offers exclusive cabana hotel rooms, where your patio opens up to the lively party scene of the pool area. 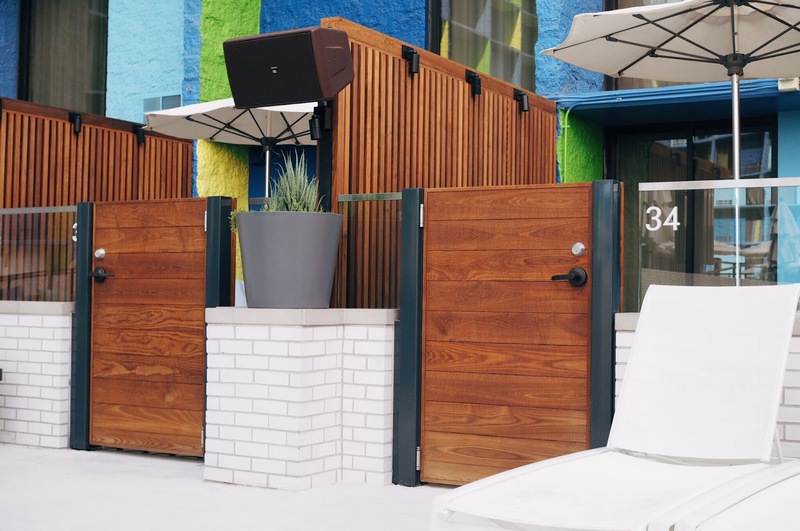 The LINQ is great for the location, it's been recently renovated, and best of all, you can get a room at times for as low as $50 a night (weekdays). You can't beat that. Great room, great location, great price, and no pretentiousness. LINQ, you're so money, and you don't even know it! 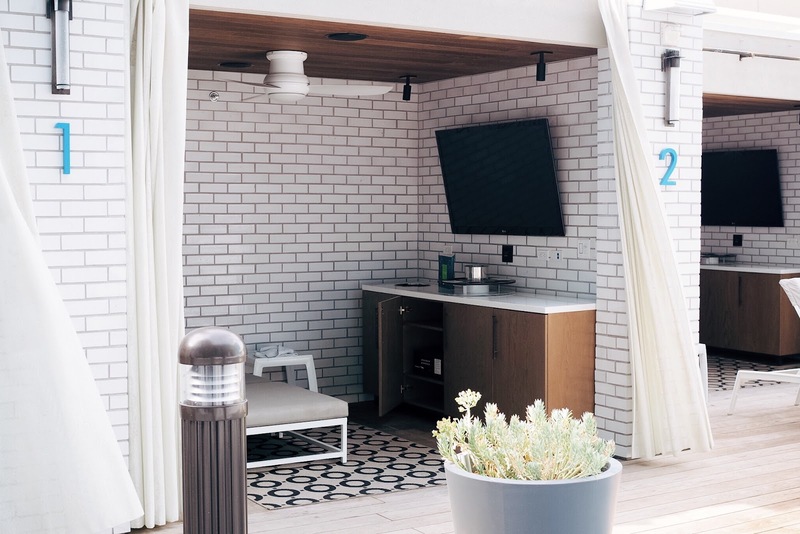 Cabana Rooms - Poolside rooms with patio service. 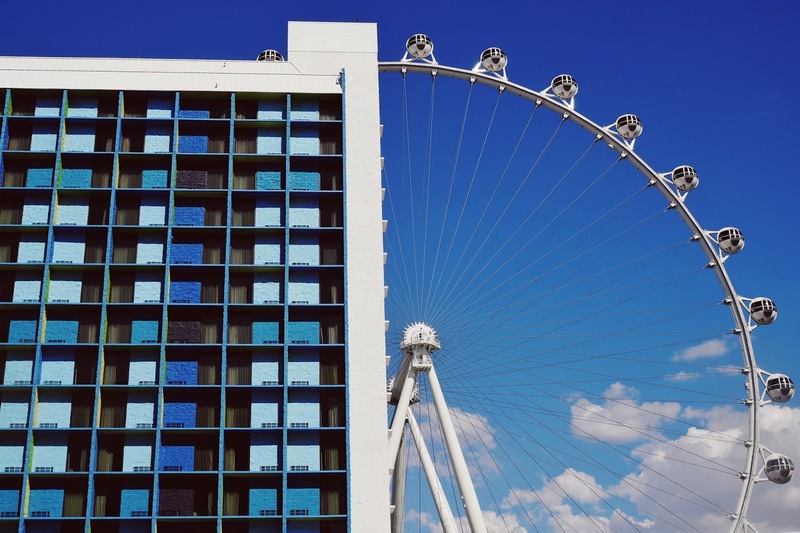 Located at the end of the LINQ Promenade, stands the 550-foot tall High Roller. 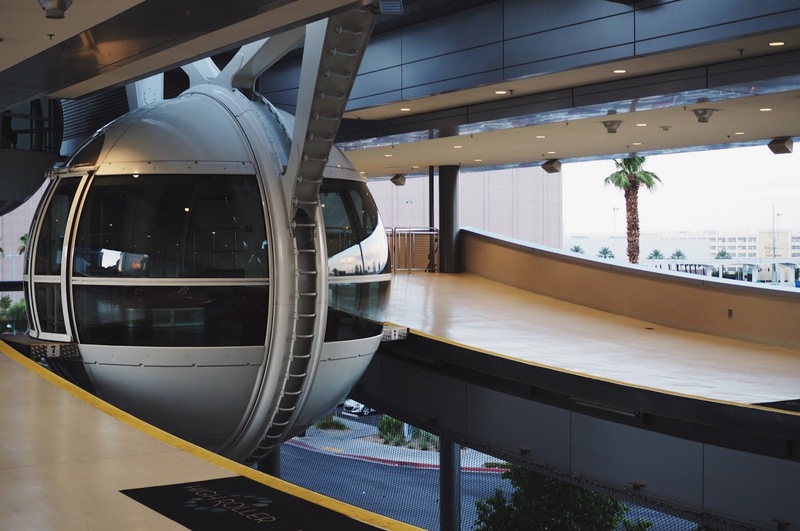 Taller than the London Eye and the Singapore Flyer, the High Roller is a 30-minute ride that takes you up in one of its 28 glass-enclosed cabins with great views of the the city. Best time to go up, is during sunset or at night when you get to see all the lights of the strip. If you're up for it (no pun intended) you can also do the Happy Half Hour, open bar with your very own bartender on board. 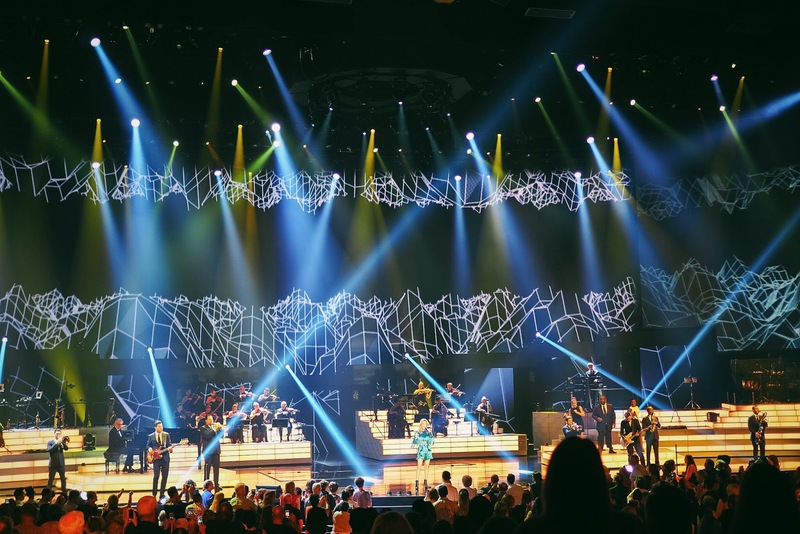 You're in Vegas, you need to catch a show. Right now, the show to see is Celine Dion at the Colosseum. After a hiatus, she's back, and if you appreciate incredible vocals, and a tight band that can play anything from a jazzy scatt number, to a strong orchestral power ballad, then this is the concert to see. 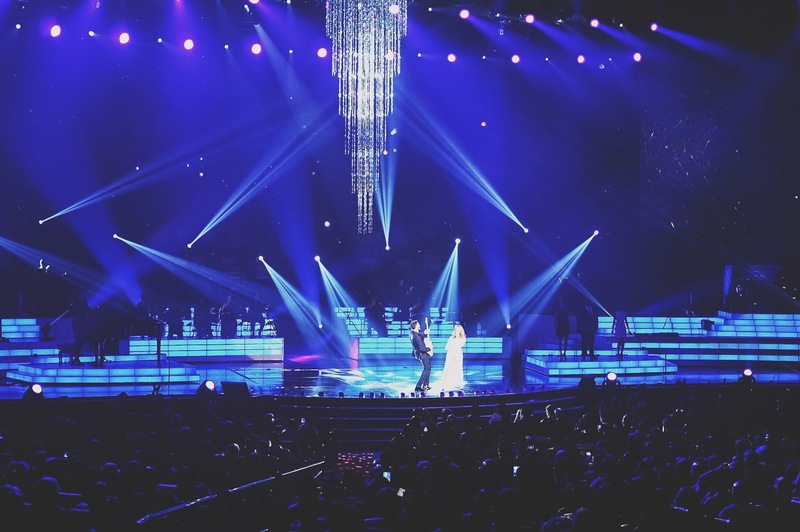 (Spoiler alert) There are a couple duets, including one of my favorite singers, Sinatra. There's something for everyone to appreciate. Plus, the Colosseum is one of the best venues for sound - so always be on the lookout for a good concert there. Pig newton: Ancho & bacon-infused Jim Beam bourbon, fig-infused Jack Daniel’s Tennessee Honey, sweet vermouth, orange bitters. 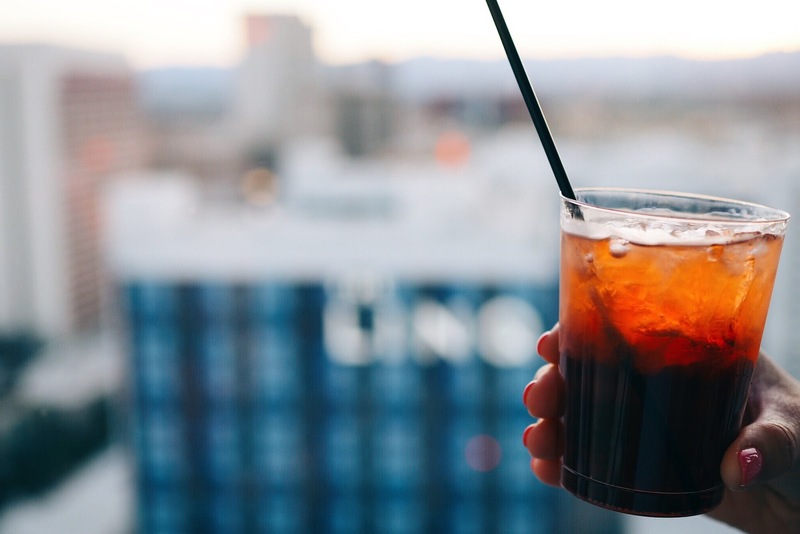 Since you'll be staying at the LINQ, make sure to grab a drink at 3535. 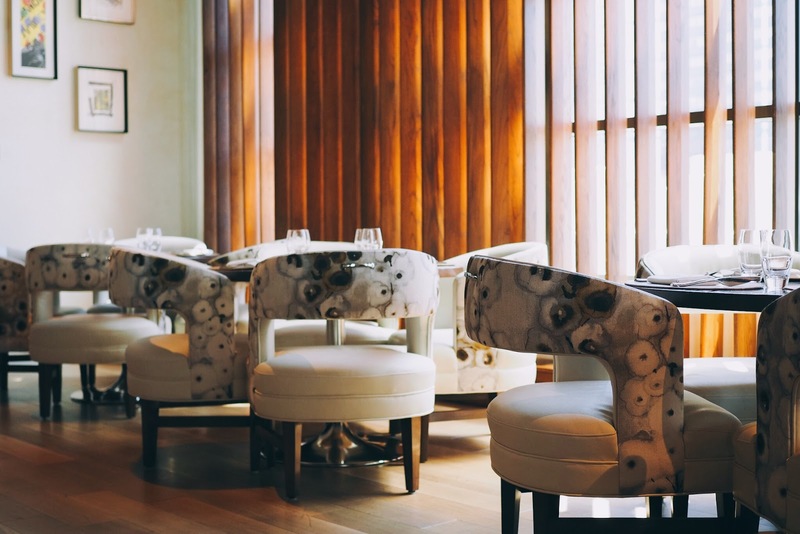 It may just seem like a lobby bar, but 3535, located inside the hotel, is Las Vegas' only infusion bar with over 35 house-made infusions. 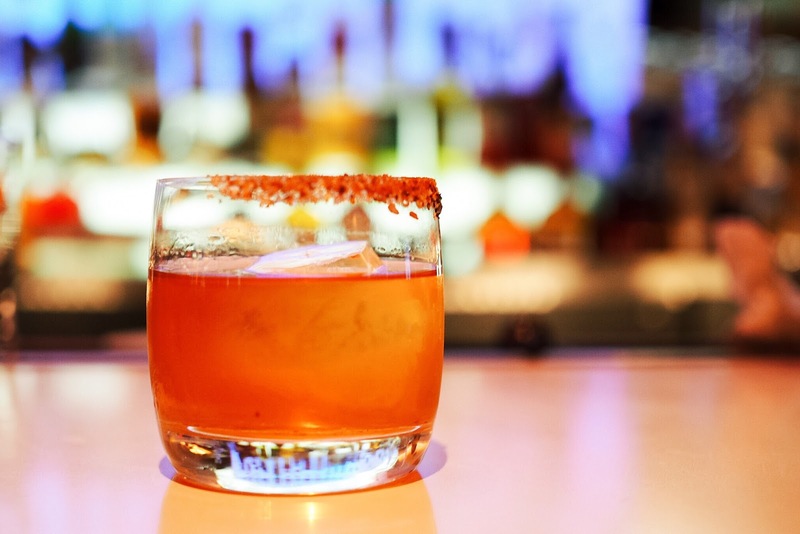 The drinks are uniquely crafted and will be some of the best you've ever had. Feeling something sweet? 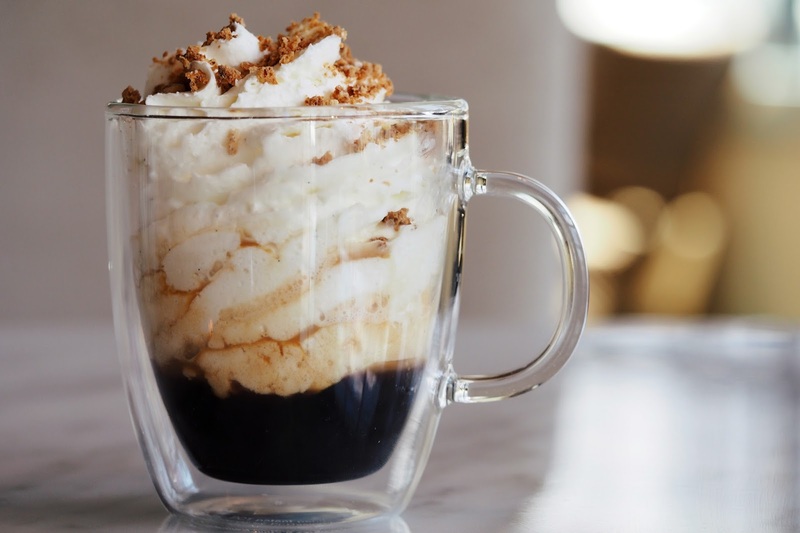 Try the Chai Peanut Butter Cup - Chai tea, vanilla bean-infused Ketel One vodka, RumChata and peanut butter. The Pig Newton is also a favorite: Ancho & bacon-infused Jim Beam bourbon, fig-infused Jack Daniel’s Tennessee Honey, sweet vermouth, orange bitters. 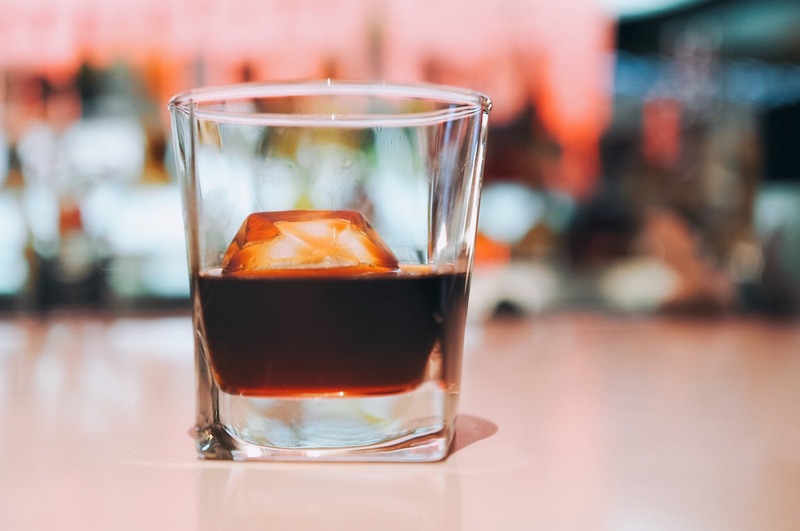 And for those that love their coffee, the Espresso bean-infused Maker’s Mark bourbon is perfect on the rocks, iced coffee-meets-bourbon, what's not to love? Back in the day, the Vegas dining scene was all about buffets. You would get all-you-can-eat of mediocre food for about $20 - think a notch better than Hometown Buffet. Well, those days are gone. 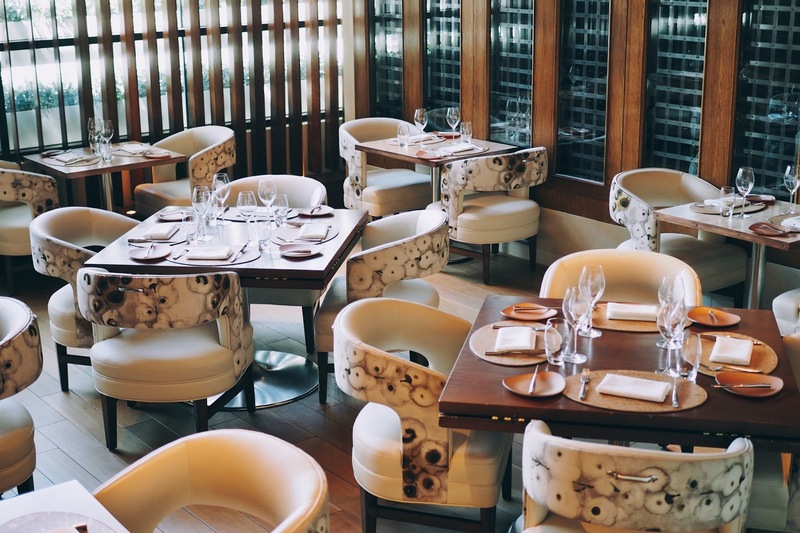 Vegas is the center stage for some of the country's best restaurants from Michelin chefs and Food Network stars. 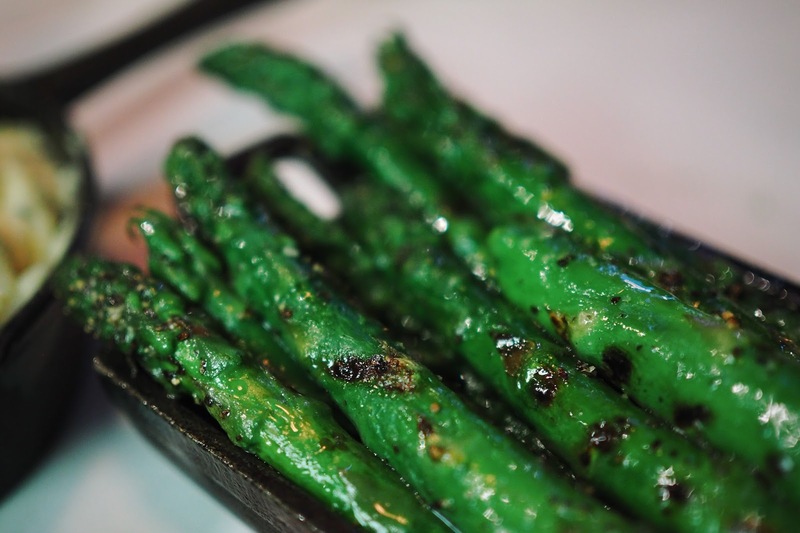 You can always dine well in Sin City, but that doesn't mean the buffet scene is all together gone. There are just a few buffets that we keep on our list, but among our favorites, Bacchanal at Caesars Palace. 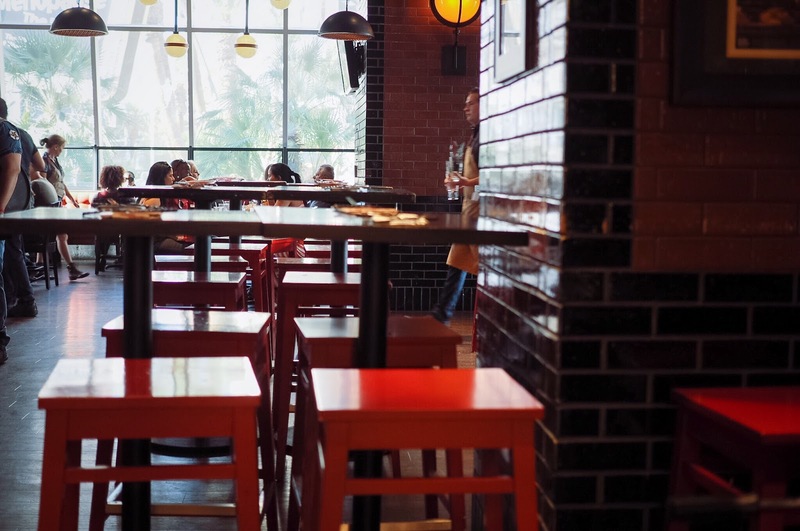 For starters, the look of it makes you feel like you're in a fine dining restaurant instead of a cruise ship cafeteria that other buffets seem to replicate. The food? Amazing! One of the best beef briskets, Wagyu sliders, and seafood offerings you can find anywhere on the Strip. 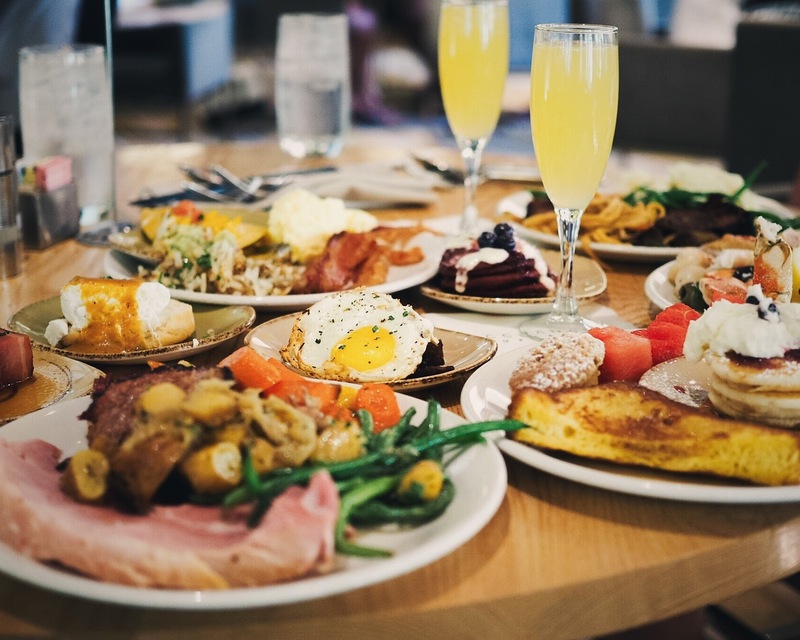 Most people shy away from buffets because they think quantity takes place over quality, but at Bacchanal, it's all quality and you get plenty of it as well. 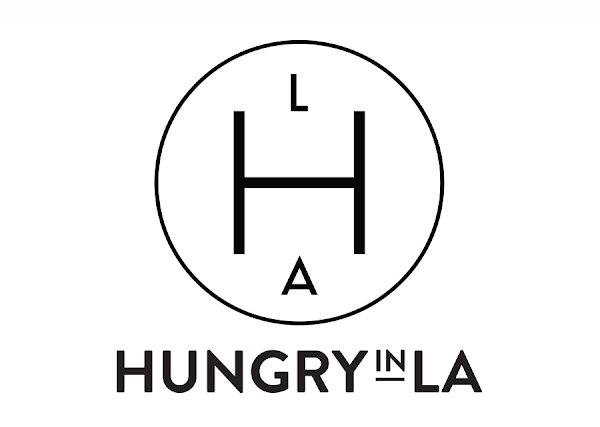 By now, you may know that at Hungry in LA, we love burgers. 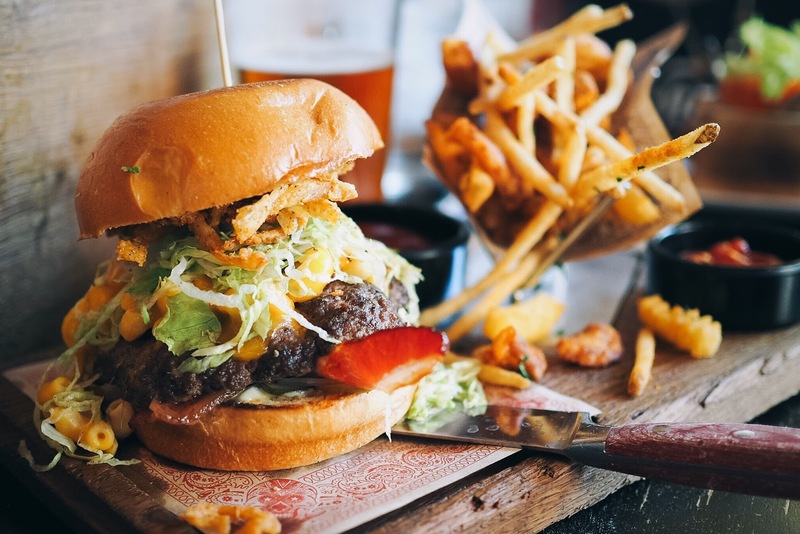 One of the best burgers in Vegas is the Bacon-Mac-N-Cheese Burger at Guy Fieri's Vegas Kitchen & Bar. 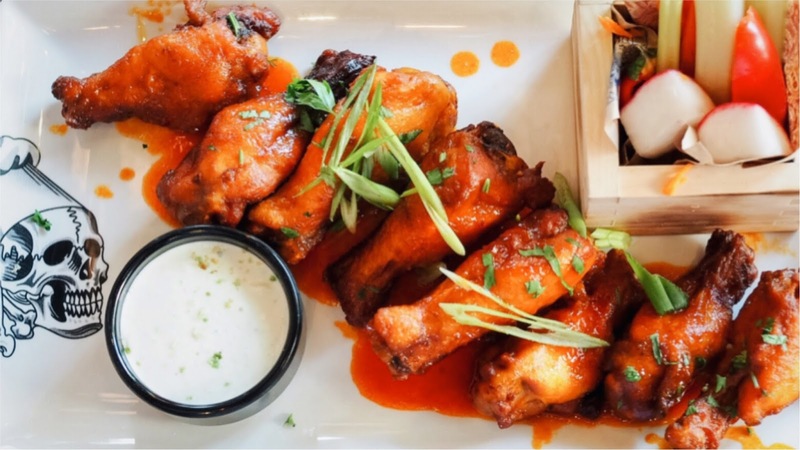 It's a great casual, gastro-pub setting with interesting twists on food, like the Fireball Whisky Wings, a great spicy, and slightly sweet version of your traditional buffalo wings. There are also plenty of craft beers on tap, and signature cocktails. 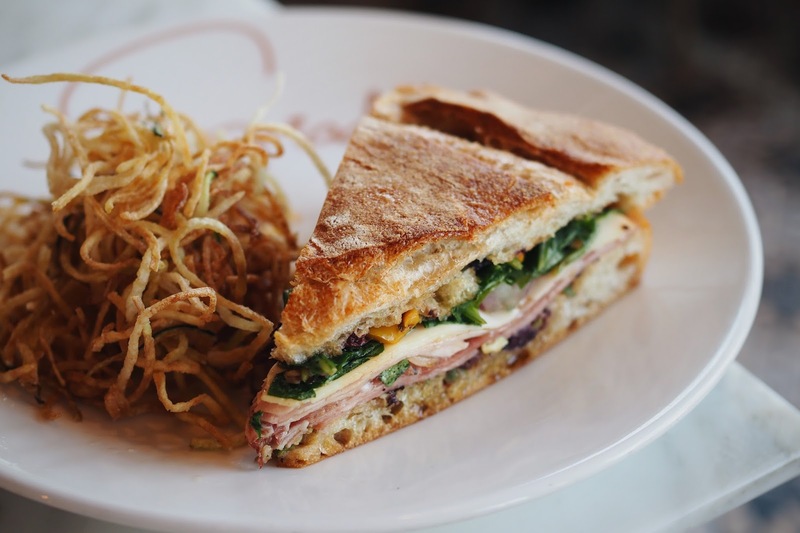 It's a perfect spot to grab lunch. 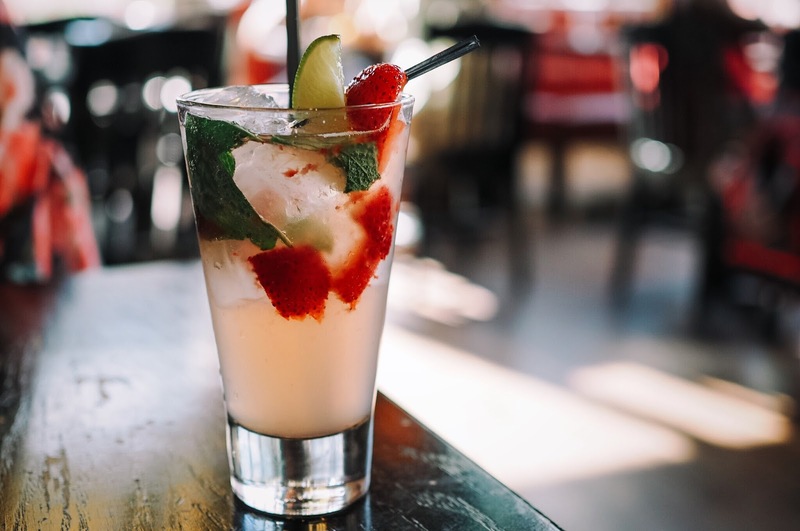 Panoe Cattle: Cruzan strawberry rum, mint, strawberry + fresh-squeezed lime. Fireball Whisky Wings tossed in house-made buffalo sauce infused with fireball cinnamon whisky, paired with Guy’s blue cheese + wasabi dipping sauce. 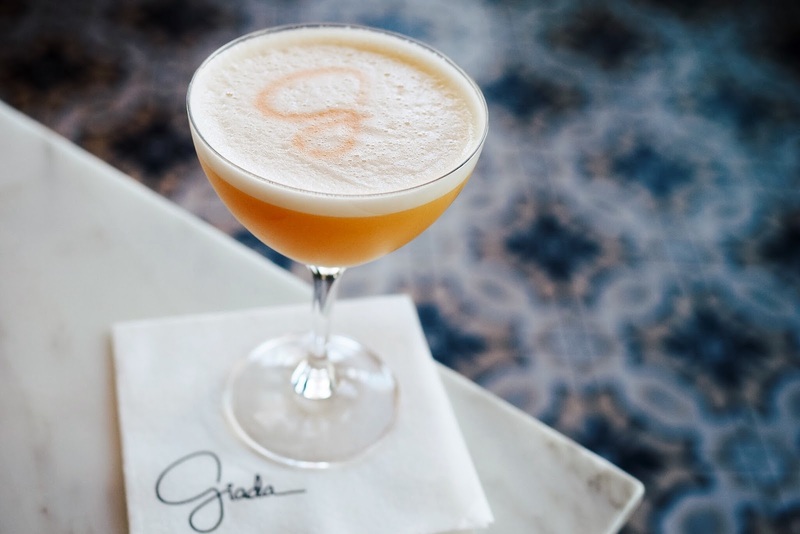 If there's one place in Vegas that we've visited more than any other in the past year, it's Giada, located inside the Cromwell Hotel. 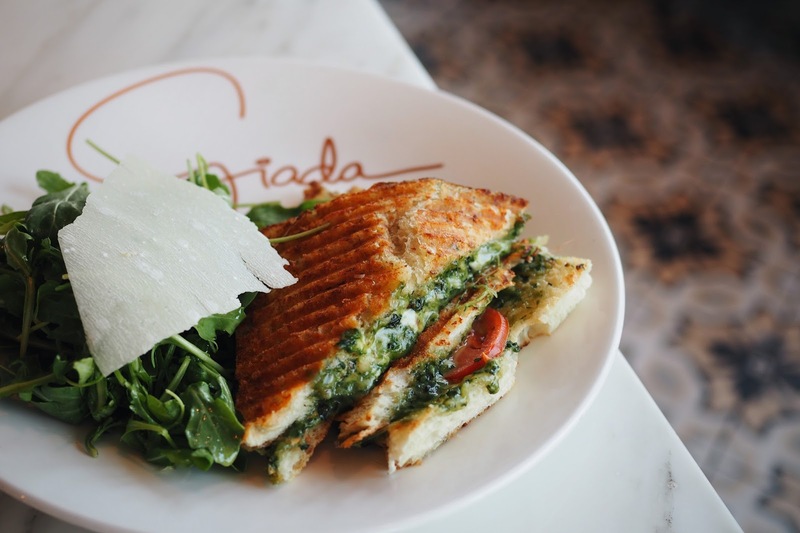 Aside from having a celebrity crush on Giada De Laurentiis, the food, ambience, and service at her one and only restaurant are outstanding. Italian food with a California influence is the main focus here. 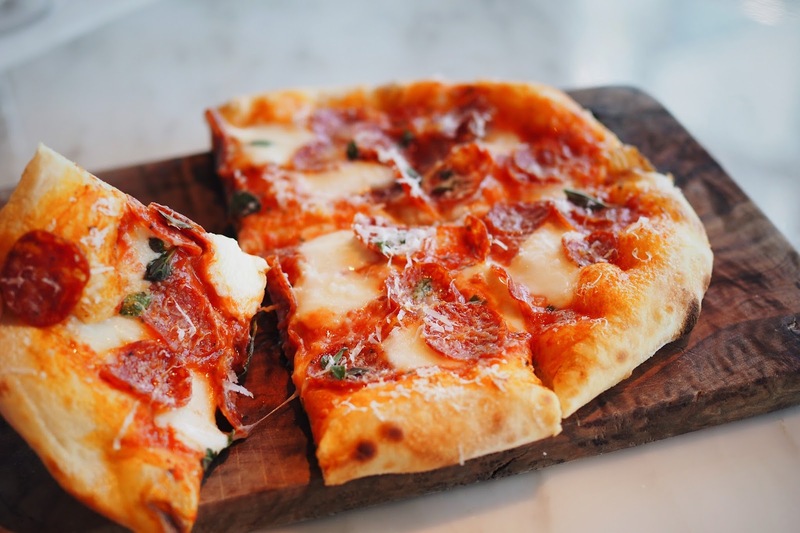 Try the Carbonara Pizza, order a fresh made pasta, and save room for dessert. 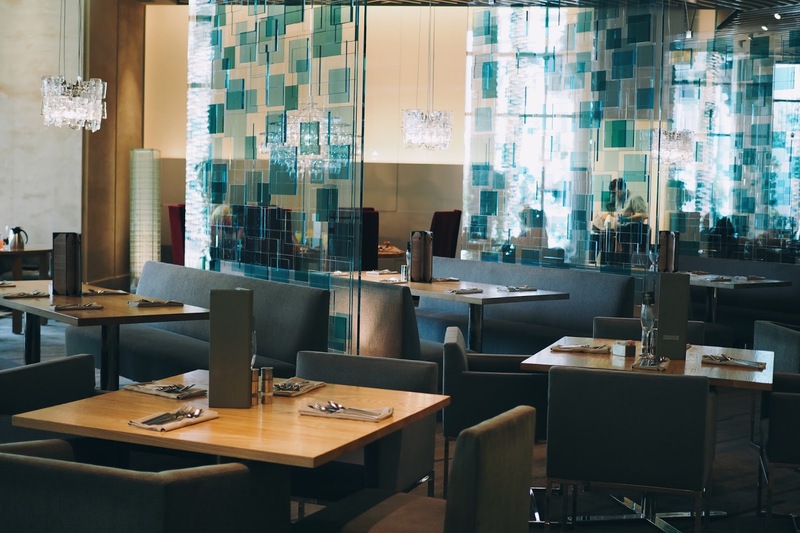 This is a great place for brunch, lunch, or dinner and being located right across from Caesars Palace and the Bellagio fountains, it has one of the best views on the strip. 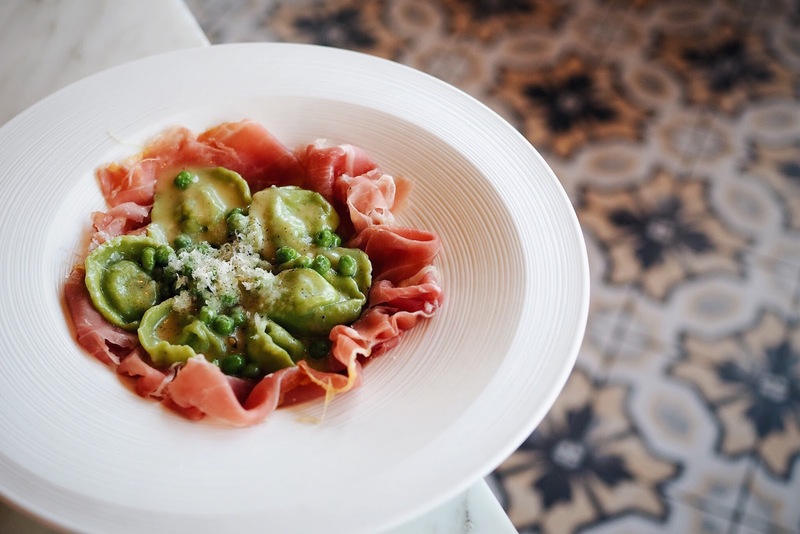 Sweet Pea Tortellini with prosciutto. 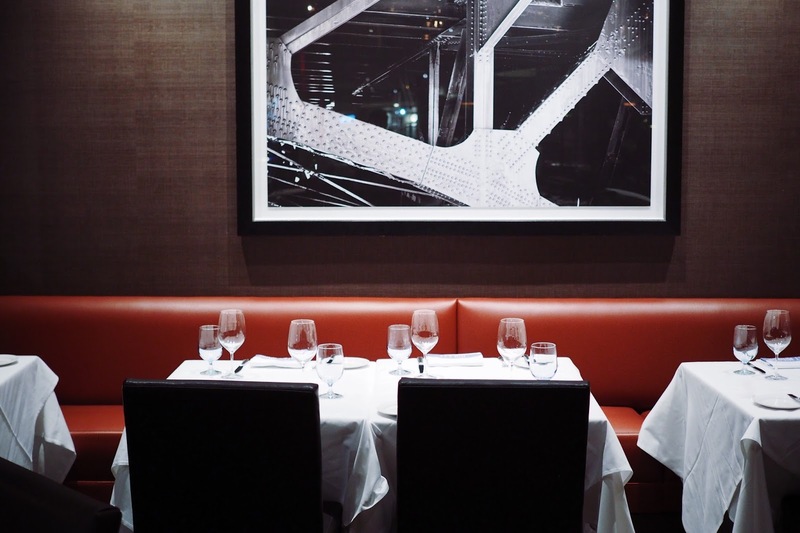 Fine dining doesn't get better than an old-school steakhouse with a history of almost 150 years originating from New York. 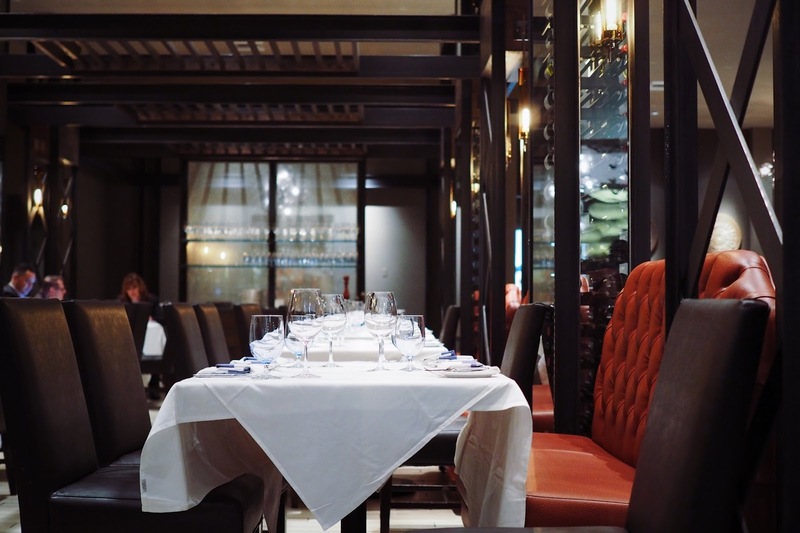 Old Homestead Steakhouse inside Caesars Palace is one of the best and highly rated restaurants you'll find in Vegas. The steaks are USDA prime and dry-aged for 30 days, generously seasoned with just salt and pepper, and cooked to order with a perfect crust. The 24-ounce Gotham Ribeye is the house specialty and the sides to order are the amazing truffle mashed potatoes and grilled asparagus. 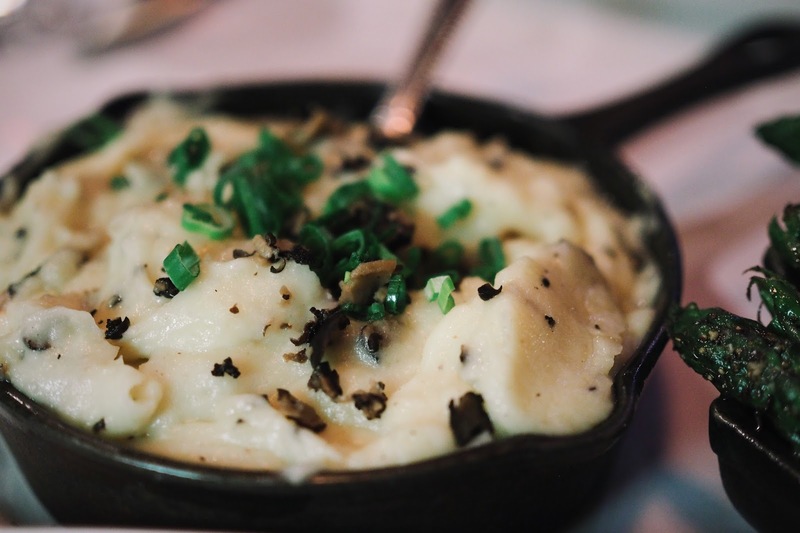 You won't find better mashed potatoes than here. Don't forget to start with an order of fried calamari that's tender and battered in a buttermilk coating. The wine list is extensive, but the knowledgeable and friendly sommelier will help you pick out the perfect vino.